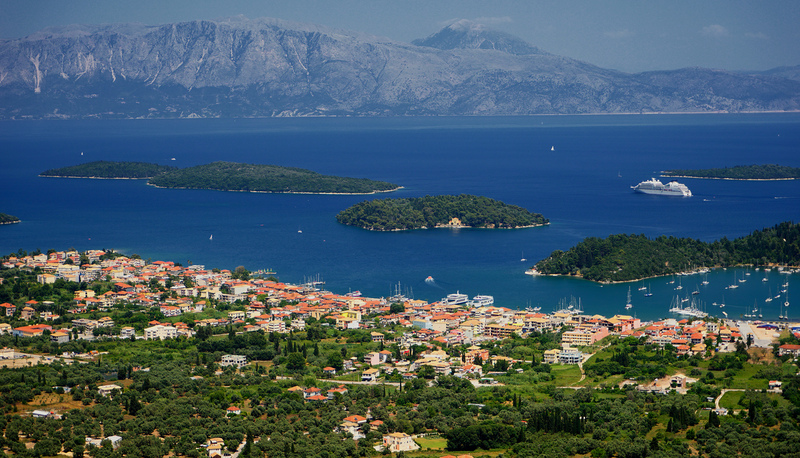 Fly high in the sky and enjoy the breathtaking view of the old church St. Kyriaki, Scorpios island and the rest of the green islands! Your adrenaline will rise to the end if you try the rings. It’s a really challenging experience to try to keep your balance on them! Our experienced instructors will teach you how to do it ski. If you are experienced though, you can enjoy your hobby here! The latest fashion at sea sports available only to us! Do not miss this opportunity to experience a unique and rare experience! Are you keen on extreme sports? 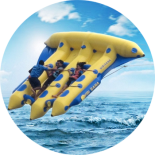 Then, get on the flying fish and feel the sense of flying over the Ionian sea with absolute safe! 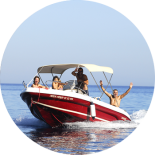 Rent a motorboat of 20 HP engine and enjoy your trip with your family or your friends and discovery secrets beauties of our island. 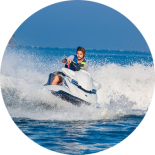 If high speed excites you, jet- skiing will give you the opportunity to have a quick sea trip around the green islands of Nydri area. 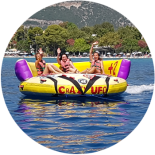 For small groups, Crazy Ufo is one of the best methods to have fun. Try this and have something interesting to tell your friends. 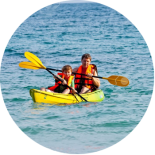 Rent a single or double of our new sea canoe and have fun in the same time that you can exercise your body on it. 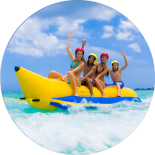 Ride the banana with your friends and you will feel your adrenaline reading the top. You and your friends will enjoy it a lot. Would you like to enjoy the view of the islands exercising yourself slightly at the same time? 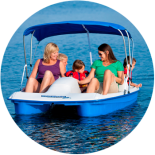 Pedal boats is the best choice for you! 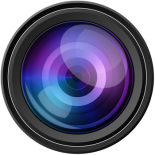 If you wish to remember your unforgettable moments you will have on the air, we can record your flight in video! 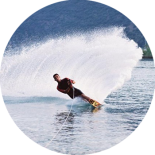 Kavvadas water sports started in Nydri (Lefkada) in 1980. 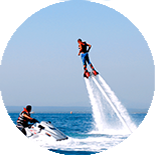 It is considered to be the most well known center of water sports in the area. Your personal safety has always been a priority of our center. 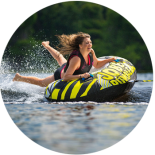 We offer a wide range of water sports for all ages, for both experienced and beginners. All our instructors are professionals. 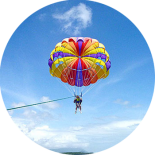 Booking now an activity of your choice, throw our website booking form and get 15% discount! Do not forget to enjoy our special offer with 15% discount!